*This post was originally written September 12,2014. This has been one of the hardest weeks I have had in a long time. I hurt my shoulder, lots of house stuff going on, lots of personal stuff going on. I pretty much wanted to kill my dog. (He was not harmed, but I did list him on Craigslist and then backed out). The stuff just kept coming and I was completely overwhelmed. I cried a lot. I know it sounds like a big old pity-party. I'm not fond of them, but this is where I found myself this week. Ok, so what does this have to do with homeschooling? 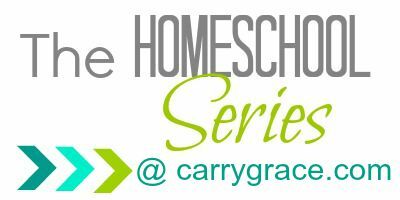 Sometimes when I feel overwhelmed with life, it is easy to start to second guessing my decision to homeschool my boys. Am I really cut out for this? Is this really what I am called to do? Did I miss it? Surely, I missed it, because this is just too hard. I know that these are all lies from the devil, and I did the most important thing I can do when I find myself here. I got myself in the Word of God and reminded myself of what the Word says, and who I am in Christ. But, unexpected encouragement in still nice. Today, the boys and I took a load of stuff to donate to the local Rescue Mission. Since we were already there, the boys asked if we could go in and look around. I decided it was a good idea. We needed a break. I found a few things to purchase and was waiting in line to checkout. There was an older lady that asked the same question we hear almost every time we go somewhere during the day. "Is today some kind of Holiday? Why aren't you at school?" I responded with, "We homeschool and got done a little early today". I expected the confused or judge-y look that I normally get, but today was different. This lady smiled, and then proceeded to have a conversation with my boys. She put her hand on Cade's shoulder and told him that she was a retired school teacher. She told him that he had a very special Mom for her to decide to spend her time each day teaching him. She just went on and on about how blessed he was. I'm not sure she even looked at me, but it was such a blessing to me. I needed to hear those things. I am thankful that when I am discouraged, and ready to throw in the towel, the Lord knows. He knows just how to send the encouragement that I need. Other posts in this series can be found HERE. I am currently hosting a small giveaway on my IG account. Come check it out and be sure to enter.